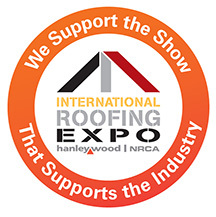 Online registration is open for the 2016 International Roofing Expo® (IRE), taking place February 17-19, 2016, at the Orange County Convention Center in Orlando, Florida. Registration is available online. Show information is accessible 24-hours a day, seven days a week. The “super pass” includes conference sessions on Wednesday, Thursday and Friday, as well as admission to the Expo, the Keynote by Dr. Beck Weathers and the welcome Party at Cuba Libre. Advance prices are $375 for NRCA members and $430 for non-members. The “day pass” includes conference sessions on Wednesday only, Thursday only or Friday only, as well as admission to the expo, the keynote by Dr. Beck Weathers and the welcome party at Cuba Libre. Advance prices are $225 for NRCA members and $280 for non-members. The “spouse pass” includes conference sessions on Wednesday, Thursday and Friday, as well as admission to the expo, the keynote by Dr. Beck Weathers and the welcome party at Cuba Libre. The advance price is $275 for NRCA members and non-members. The spouse pass is only available to spouses of a paid registrant. The “expo only” option includes expo admission on Wednesday, Thursday and Friday, as well as admission to the keynote by Dr. Beck Weathers. NRCA members and non-members pay $40 in advance. Admission to the welcome party at Cuba Libre is not included, but tickets may be purchased separately for $50 in advance. While at the expo, be sure to visit the Asphalt Institute booth at #1381.